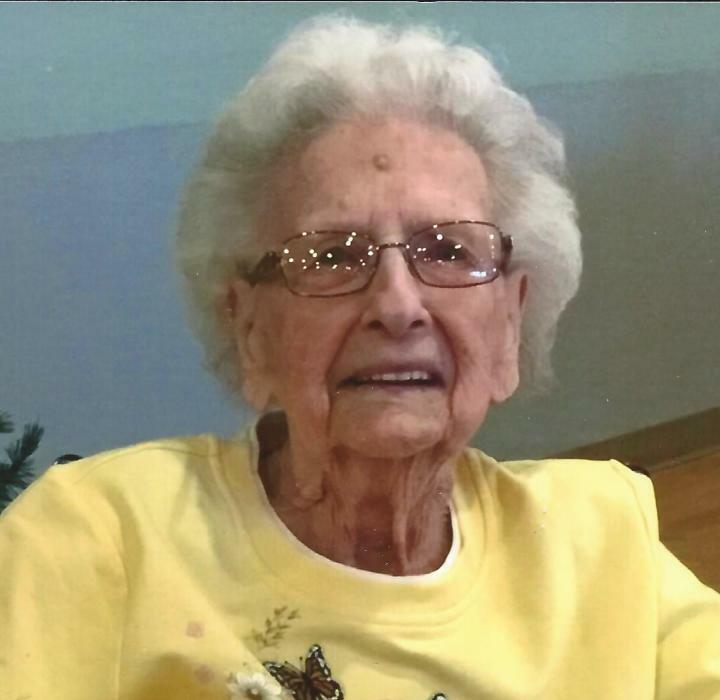 Beth C. McDonald, 98 of Chetek passed away Monday, January 22, 2018 at Atrium Post Acute Care Center. She was born December 31, 1919 in Augusta, Wisconsin, the daughter of Floyd and Ellen (Richert) Stewart. Beth married Delos Owen McDonald in Augusta, Wisconsin in 1934, together they raised four children. They moved to Chetek in the 1980’s from Altoona, where they resided on Ojaski Lake. Beth was a homemaker, loved to read and visit with all her grandchildren. She especially looked forward to Fridays as it was “hair day” and then going to lunch with her children. She enjoyed the Sunday Packer games with her family as well. Beth is survived by her children, Richard (Sandy) McDonald of Cameron, Nancy (John) Foss of Cameron, Daughter-in-law, Loretta Kay McDonald of Hot Springs Village, Arkansas, 8 grandchildren, 14 great grandchildren and one great great grandson. She is preceded in death by her parents, husband, son Ron McDonald, daughter, Mary Miller, 2 brothers and 3 sisters. A Mass of Christian Burial will be 11:00 A.M. Wednesday, January 24, 2018 at St. Boniface Catholic Church. Family and friends may visit from 10:00 A.M. until the time of the service at Church. Please join the family for a luncheon following the Mass. Entombment will take place at 2:30 P.M. at Calvary Cemetery in Eau Claire.